On 15 — 16 June the third edition of Teriberka New Life will take place in Teriberka, the Russian Arctic village behind Andrey Zvyagintsev's Oscar-nominated Leviathan — probably the most northerly rave you've ever been to. The festival programme includes musical acts, a night rave, contemporary art and excursions in the local area, with a variety of delectable local foodie delights on offer. Among the Russian artists taking part in the festival will be Alexander Lozhkin, Andrei Cheltsov, Irina Alekseeva and Daniyar Yusupov, with architect and urbanist Yaroslav Kovalchuk serving as curator. Electronic label Hyperboloid Records will provide the sound for the Arctic rave, while daytime performances will include Nike Borzov and Oligarkh. Those looking to get closer to nature can even enjoy some time at sea with an oceanographer — look out for seals and killer whales! Teriberka New Life offers more than just a good time, however. “The main goal of the festival is not just to entertain, impress and feed the guests. 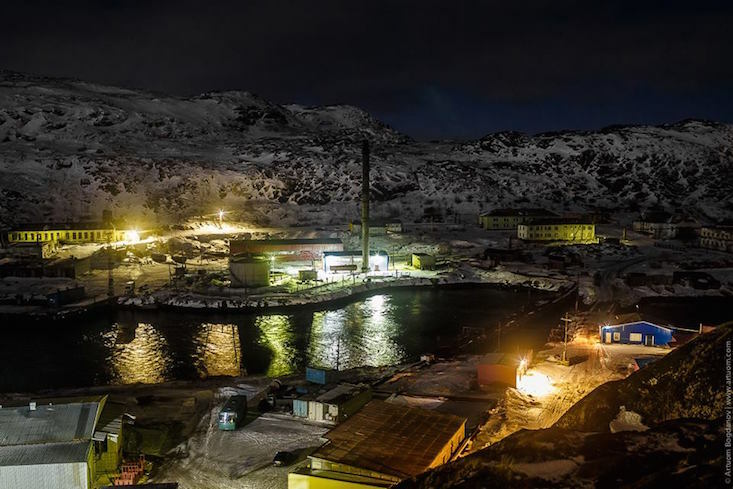 It should help create a model for the revival and development of northern towns and cities, which can be adapted for use throughout the Russian Arctic,” say the organisers. Teriberka New Life will take place in Teriberka, located in Russia's Murmansk Province, from 15 — 16 July. Entrance is free, with charges for excursions and masterclasses. Find out more here (in Russian).